The Chop presents a new DJ based night "Sampleology" a night of your favourite tracks and their origins samples, breakbeats, drum loops and more with some of the best overseas, national & local talent. 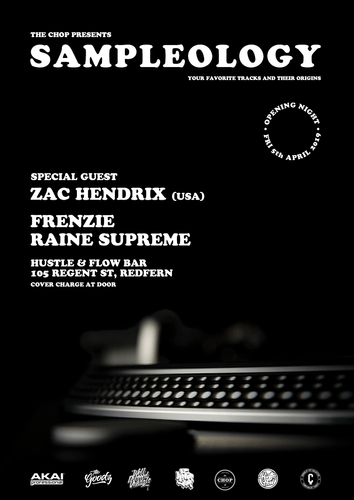 Opening Night is Fri 5th of April at Hustle & Flow Bar to be headlined by a special international guest from the USA and the second time at a The Chop event Zac Hendrix a legendary Producer and DJ for the likes of Del The Funky Homosapien, Bukue One, Inslult2Injury and more. Also, local legends Dj Frenzie & DJ Raine Supreme throwing down some killer sets as they always do. Make sure to head on down if the gig is a success we'll make it a regular gig. Zac Hendrix is a DJ, producer, and all around funky cat, as it turns out. He was born in the city of Seattle and grew up in nearby South King County. 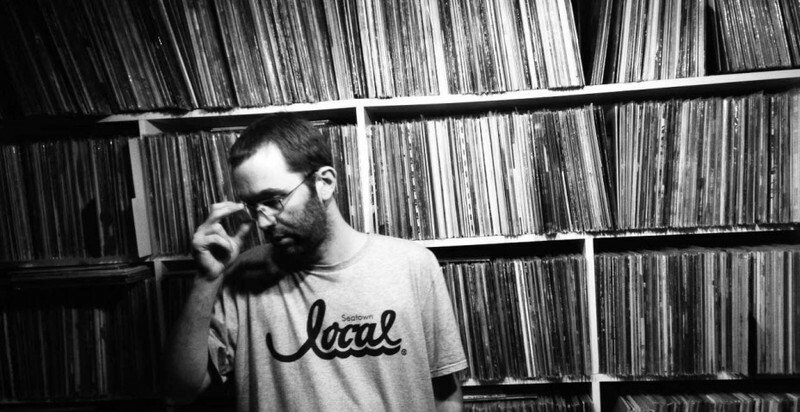 After early years as a bedroom dj, and subsequent years performing locally, Zac officially entered the independent hip-hop game on a full-time basis in 1999. He has travelled extensively as the DJ for Del the Funky Homosapien (since ’02), Bukue One (since ’99), and Insult2Injury (since ’96). He is also a member of The Handsome Skeletons, Hendrix Jones, All Flags Burn, and several other noteworthy groups that you may not have heard of yet. Whether he’s rocking a large festival or a small club filled with the most discerning funk aficionados, he’s guaranteed to turn some heads. This is definitely not “dj so and so”. The message is positive, the beats hit hard, and the vibe is earthy and honest…and did we mention funky? A bargain for an international act and 2 of our best local DJs don't sleep on this gig for sure!